Redefining Electronic Stethoscopes. 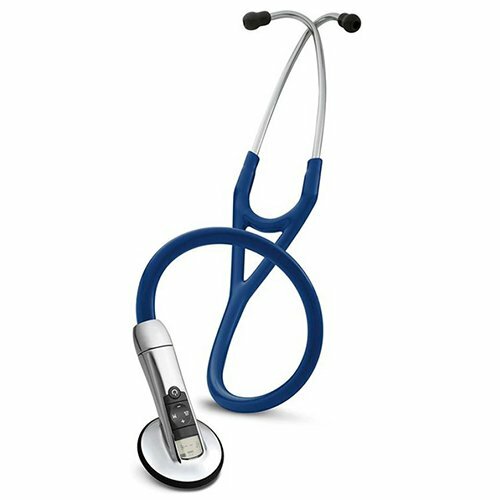 The 3M Littmann Electronic Stethoscope Model 3200 delivers both exceptional sound quality and a simple-to-operate user interface. With these sound and usability improvements, you might never go back to your old stethoscope. Powerful Capability. Incredible Simplicity. Redefining what a stethoscope can do for you. Hear it. State-of-the-art sound sensor. Proprietary Ambient Noise Reduction (ANR) technology reduces on average 85% of unwanted background noise. Amplification capability when sounds are soft. Clinical evidence shows it easier to detect difficult-to-hear heart sounds like S3 gallops, aortic regurgitation murmurs, as well as abnormal lung sounds. It all adds up to an exceptional listening experience – compared to acoustic scopes. Record it. Capture a sound for later playback. Helpful when seeking a peer opinion or when you are writing up notes on your patient condition after your patient has left. Send it. Bluetooth technology lets you transmit sounds real-time to your PC, which can then be further analyzed, attached to medical records, or reviewed online with colleagues. Confirm it. Use available Zargis Cardioscanâ software to help you detect and classify suspected heart murmurs while with your patient. Or visualize heart and lung sounds using Zargis StethAssist software, included free with every 3M Littmann Electronic Stethoscope Model 3200. Two great tools that can enhance the auscultation process and help you hone your skills. Sound Quality So Exceptional Proprietary Ambient Noise Reduction (ANR) technology cancels out, on average, 85% of ambient background noise that can interfere with the auscultation experience, without eliminating critical body sounds. Our patented 3M Littmann Snap Tight Soft-Sealing Eartips provide a comfortable fit and a tighter seal from ambient noise entering through eartip connections. The state-of-the-art sound sensor provides a life-like 3M™ Littmann® sound experience similar to a high-end cardiology stethoscope. Frictional noise reduction technology helps reduce handling noises compared to earlier stethoscopes. Up to 24X sound amplification; may be helpful when a heart, lung or body sound is especially faint; when a patient is obese; or when a patient™s clothing restricts your listening experience. The User Interface You\’ve Been Waiting for Easy to operate – the menu button brings you to screen-guided commands to operate recording and Bluetooth features. 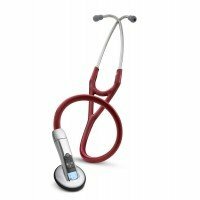 Convenient LDC interface indicates remaining battery life and when Bluetooth transmission is active.Auto-on feature – stethoscope stays in battery-saving \”\”sleep mode\”\” until you start your next auscultation. Worry-free power- multiple reminders when battery life is low, operates on single AA battery. Lightweight and comfortable to use – is about the same weight as a cardiology-grade acoustic stethoscope. Traditional tubing design drapes comfortably over the neck and folds easily into a pocket.